Home / Merry Christmas, Everyone! 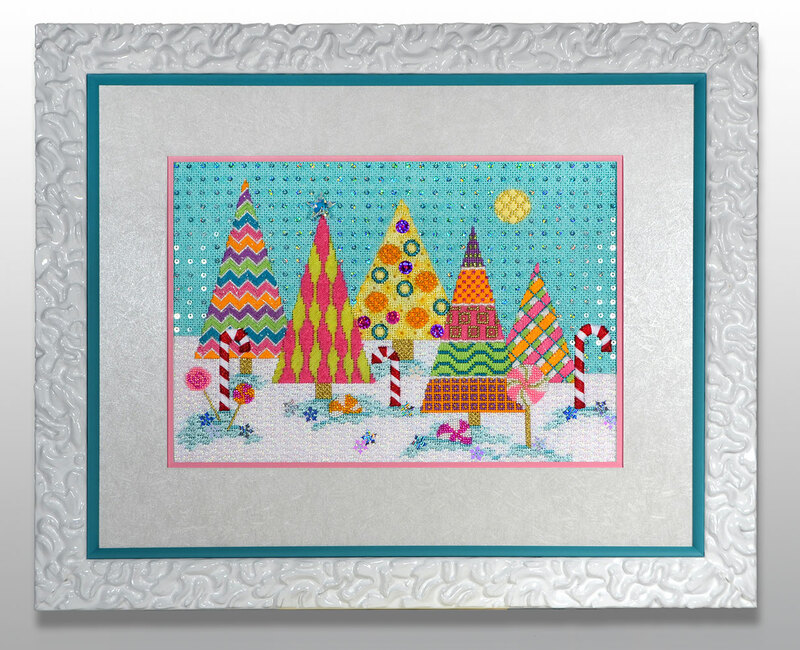 What better way to say Merry Christmas than with the Candyland Christmas Tree Farm. Designed by EyeCandy Needleart, stitchguided by me and stitched by Lisa in Canada. Lisa wanted hers to be finished all sugary and sweet. I think we succeeded. Merry Christmas to you and yours as well, Ruth! Love the way this is framed…that is the cutest white frame – wasn't it on the Snowman's Nose piece earlier? Yes, this is the same frame as on snowman's nose. It's one of my favorites! Merry Christmas, Ruth, you Master Enabler!